Jarrod Dickenson's latest Christmas video takes the viewer straight to the heart of a magical New York City during winter time. Following the launch of his critically-acclaimed album, READY THE HORSES, the singer-songwriter has released the festive single, Christmas Time In the City, along with the B-side, a cover of Charles Brown’s Please Come Home For Christmas. Jarrod recorded the songs at SonyTree Studios in Nashville, once again playing live with the full band and shot the video in New York City. His most loved Christmas tune has always been the Charles Brown classic, Please Come Home For Christmas, so when the opportunity came to record it, he jumped at the chance. Hailing from Waco, Jarrod is now based in Nashville, after spending 10 years earning his stripes on the Texas and New York circuits. 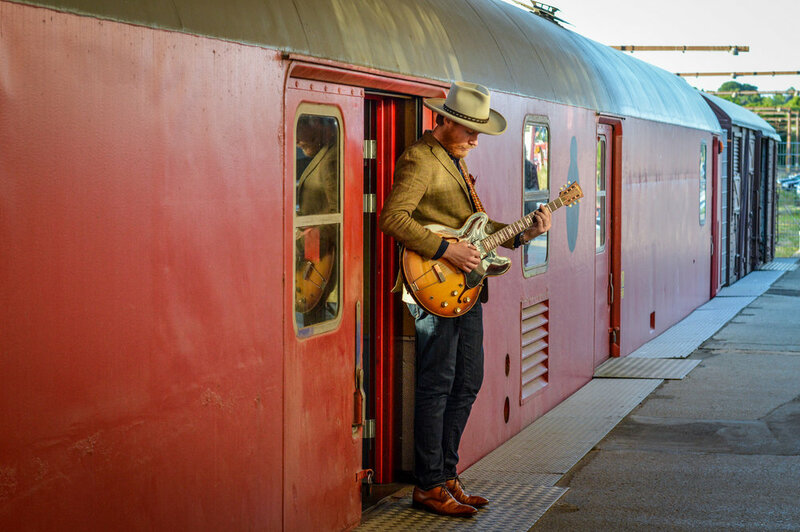 Expect to hear a lot more from the talented singer-songwriter, and guitarist in the coming months as he tours his second album, READY THE HORSES.